A staff member will weigh the paint on the lower floor scale. Do not mix the paints together. Latex, Urethane and Oil base paints in their original containers. Containers must be in good condition with the original label in readable condition. BCEP reserves the right to limit quantities. Only home owner material will be accepted. 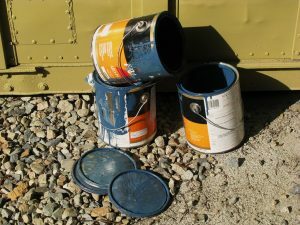 BCEP is not permitted to accept paints from commercial enterprises, however we can help direct you with proper disposal. Commercial enterprises should contact NHDES for guidance.